The police department currently employs 458 sworn police officers and 117 civilians. The department also has a reserve police officer program. Providing a high level of public service is the police department's mission. The department, headed by Chief Luther T. Reynolds, has many resources and specialized personnel at its disposal. The Charleston Police Department was the first municipal law enforcement agency in the State of South Carolina to be accredited by the Commission on Accreditation for Law Enforcement Agencies (CALEA). 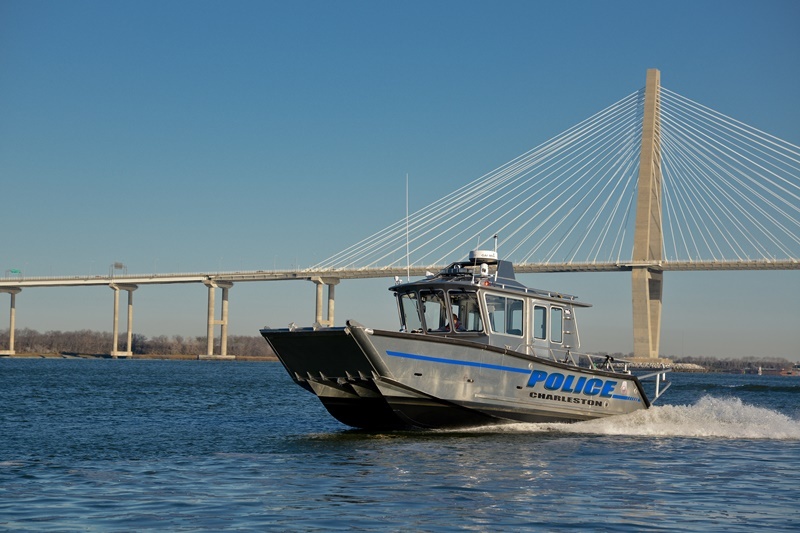 Charleston Police Department would like to invite you to follow us on Facebook and Twitter for important information about the department and activities within the City. As a participant in the White House Police Data Initiative (PDI), created under President Obama, the City of Charleston and the Charleston Police Department are committed to making data related to policing activities publicly available. The City of Charleston currently provides raw data on calls for service (911), field contacts, electronic citations and arrests. Additionally available in PDF format are weekly Compstat reports and monthly reports on officer use of force and investigations conducted as a result of citizen complaints. The Charleston Police Department would like to extend an invitation for you or someone you know to attend a 6-week Police Citizens Academy! Once a week, citizens are invited to attend a 2-hour class that has been specifically designed to educate and increase the public’s understanding of police policies and practices. Instructors will include the Chief of Police, Luther Reynolds, and a variety of CPD commanders and officers throughout the department. Participants that attend at least five(5) classes will be eligible to participate in the graduation ceremony scheduled for the end of the six(6) week period. A tentative start date is the 3rd week in October 2018.
. No background checks will be completed without a follow-up confirmation email and or phone call. Please click on the graphic above for a printable application.